Summary: Theo is better now. She’s eating again, dating guys who are almost appropriate, and well on her way to becoming an elite ballet dancer. But when her oldest friend, Donovan, returns home after spending four long years with his kidnapper, Theo starts reliving memories about his abduction—and his abductor. 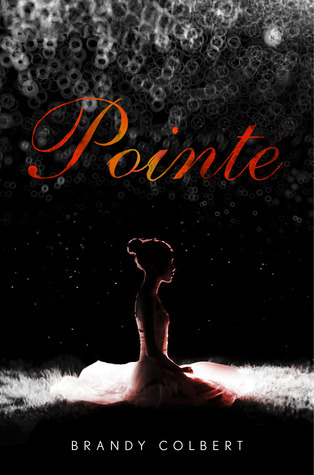 Review: In Pointe, Theo is a high schooler and ballet dancer determined to live out her dream of joining the most elite ranks of ballet dancers. Dance is the one thing that lets her escape from her everyday life and memories — but when her best friend Donovan returns home after years of living with his abductor, her dance starts to suffer. Memories of losing her friend and memories of her ex-boyfriend begin to collide. Through Theo’s perspective, Pointe deals with a lot of issues — such as abuse, eating disorders, trauma, and kidnapping. These issues are handled in a sensitive, realistic, and eye-opening way. Pointe is an incredibly important book for teens to read.